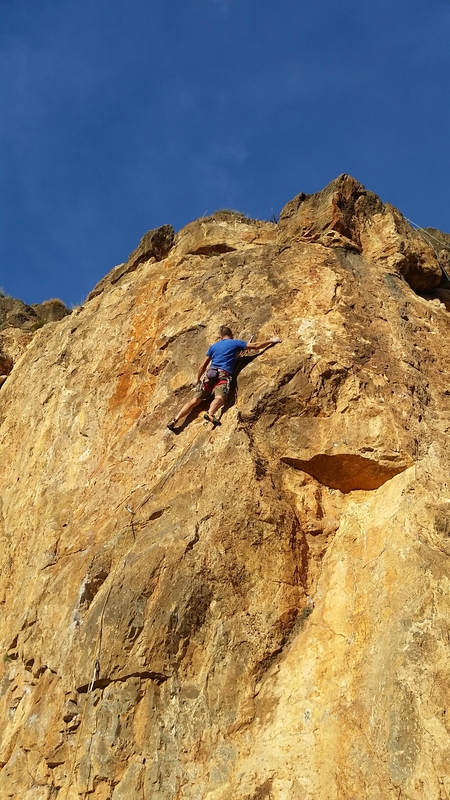 With no guidebook, we picked a 6a-looking line and found we’d guessed about right – maybe 5+. First of the recommendations was Alambique Parlance, a very cruxy 6b+ that saw me scuttling back down with my tail between my legs. Our host generously tutted and said it would be 6c+ anywhere else. I made a better fist of Ana Rosa 6b and then we did the classic corner of Draco, 6a, and a 6b translated as ‘heroin’ to its left. They all felt a good letter grade harder than suggested. 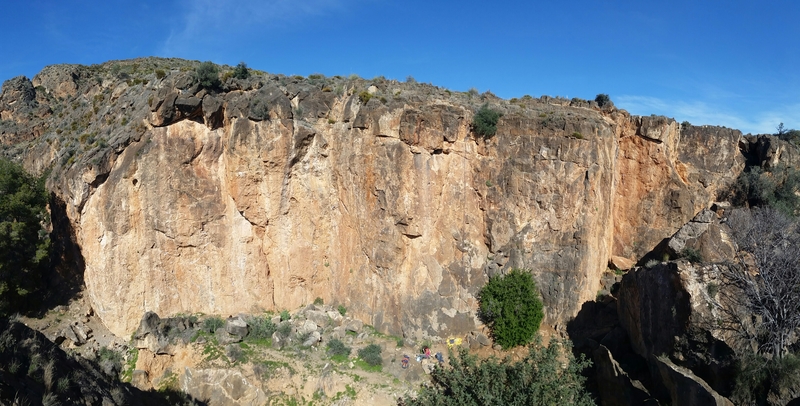 Finally I was pointed up Purpura 6b+ and ‘the route of the crag’, and warned that there was a really hard move at about 2/3 height. Having fluffed my last test I was determined not to let the side down again. It was a tough move indeed – well worth 6c+ or maybe 7a, but I just about scraped my way through it and some honour was restored. What a pleasure it is to meet such friendly, welcoming folk – we’re so lucky that this happens so regularly amongst climbers all over the world.